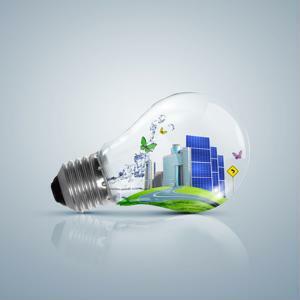 When reducing energy consumption, firms can simply cut business overhead costs by upgrading their lighting, according to Sustainable Business. By incorporating energy efficient light bulbs into their spaces, firms can minimize their energy usage as lighting accounts for about 19 percent of U.S. energy consumption. Switching from incandescent lights to compact fluorescent (CFL) or LED bulbs is associated with a variety of benefits, including increased energy efficiency and cost savings. CFLs and LEDs consume 75 percent less energy than regular incandescents and last longer, between 10 to 25 years. When considering the entire cost associated with both purchasing and powering lights, an LED will be cheaper than traditional incandescent bulbs, according to a guide by the Natural Resources Defense Council (NRDC). As more firms consider making their commercial spaces as energy efficient as possible through green building certification programs, having energy efficient lighting is crucial. Through the Leadership in Energy and Environmental Design (LEED) certification program, firms and other organizations can experience huge cost savings through saving energy resources and taking a holistic approach to building sustainability. In obtaining LEED certification, which has standards set out by the U.S. Green Building Council (USGBC), organizations can benefit from auditing services before adjusting their energy usage. To maximize energy performance for a building, companies must regulate their energy usage through strict planning for lighting. "Throughout out the design and building process, be sure your entire project team is focused on meeting your LEED goal on budget," according to NRDC on LEED. "Maintain the environmental and economic integrity of your project at every turn." As part of LEED procurement, companies can plan to establish individual lighting controls for a minimum of 90 percent of the building's occupants, which can help minimize energy usage. This also allows occupants to adjust controls to allow for optimized lighting on tasks they may be doing or if they prefer lighting to be brighter. "Design the building with occupant controls for lighting," according to USGBC. "Strategies to consider include lighting controls and task lighting. Integrate lighting systems controllability into the overall lighting design, providing ambient and task lighting while managing the overall energy use of the building." In addition to giving occupants more control over lighting, designers can also optimize the building for day​ lighting to reduce the amount of energy consumed. To do this, builders and designers can determine the orientation of the building or install permanent shading devices for the exterior and interior of the structure.